Originally written for and published in the 2017 edition of Discover Trinidad & Tobago. The Carnival season is like one large buffet. You can sample all of it over multiple courses; just some of it, by confining yourself to a few things which appeal to you; or none at all (which means leaving the restaurant altogether, to keep the analogy going). But the point is, there’s no right way to do Carnival. The very impulse and origins of Carnival defy the idea of any established order or authority, anything which forces you to conform. Here we’ll introduce you to how the season unfolds. Once you get a sense of what’s on offer, decide what you want to indulge in, and — as we say here — “play yuhself”! Though the powers that be seem to have decided that Carnival band launches won’t happen earlier than July (for now), this means a long fete (party) season that kicks into high gear after Christmas. The fetes are something of a buffet too: there are more affordable, low-key “cooler fetes” (where you can bring or buy your own food and drink), and more upscale, exclusive, food and drink all-inclusives for which people fork out big money for entry (and wardrobe). The most popular fetes usually feature the biggest soca stars as headliners. Speaking of headliners, you can catch both living legends and the stars of the moment at a range of shows — including their own. There are a handful of vintage calypso tents; intimate concert events (like Under the Trees); huge concerts by soca stars (like Machel Montano and KES) and party promoters. There are more theatrical events like 3canal’s annual Carnival show and the Canboulay Riots Re-enactment (staged the Friday morning before Carnival, commemorating the 1881 Carnival-time uprising against British colonial authorities). On the Friday night before Carnival, the Soca Monarch final is a combination of party and competition, featuring some of the best soca artists in the region. And Champs in Concert features all the winners in a show just after Carnival. For some, Carnival is pan. Full stop. Steelpan aficionados hit the panyards of their favourite steelbands for weeks as they practise for the Panorama finals (Carnival Saturday). Those successfully adjudicated on site early in the season advance to the semi-finals at the Queen’s Park Savannah two weeks before Carnival. Real pan lovers will be in the Grand Stand, or on the drag/track that leads to the Savannah stage — bands practise and fine-tune as they go. 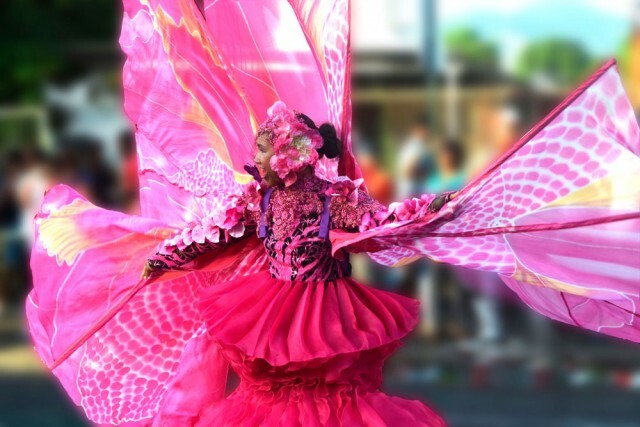 In addition to pan and soca, there are countless competitions for Carnival’s myriad artforms. Traditional and ol’ mas characters such as the Dame Lorraine (a man in a dress with stuffed bosom and bottom, satirising bulky colonial matrons), the ominous Midnight Robber with his grandiloquent speeches, and the talkative Pierrot Grenade compete at events through the season. For some, it’s pan. For others, it’s J’ouvert that is the centrepiece of their Carnival. At 4am on Carnival Monday, the “reign of the Merry Monarch” begins as thousands of people gyrate through the streets, disguised in the trappings of “dutty mas” — oil, grease, paint, mud, cocoa, clay, old clothes, or provocative costumes delivering stinging socio-political commentary. Traditional bands feature characters like jab jabs, blue devils, bats, and more. Check out the rest of our website for a range of Carnival information — its origins and history, how a steel pan is made, and a calendar of events for 2017. For schedules and info, visit the websites of the National Carnival Commission (ncctt.org), Pan Trinbago (pantrinbago.co.tt), the National Carnival Bands Association (ncbatt.com), and Trinidad Carnival Diary (trinidadcarnivaldiary.com).